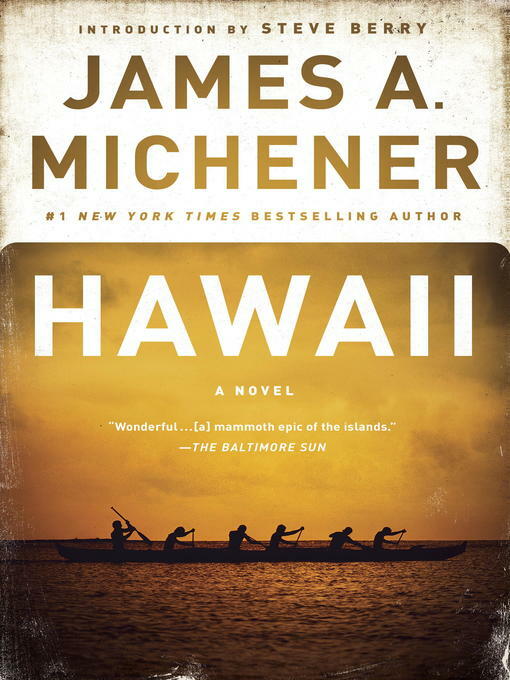 Pulitzer Prize–winning author James A. Michener brings Hawaii's epic history vividly to life in a classic saga that has captivated readers since its initial publication in 1959. As the volcanic Hawaiian Islands sprout from the ocean floor, the land remains untouched for centuries—until, little more than a thousand years ago, Polynesian seafarers make the perilous journey across the Pacific, flourishing in this tropical paradise according to their ancient traditions. Then, in the early nineteenth century, American missionaries arrive, bringing with them a new creed and a new way of life. Based on exhaustive research and told in Michener's immersive prose, Hawaii is the story of disparate peoples struggling to keep their identity, live in harmony, and, ultimately, join together. Steve Berry - Author of introduction, etc.